Hope you enjoyed polishing and shining your e-books. Now let's look at more heavy duty stuff. 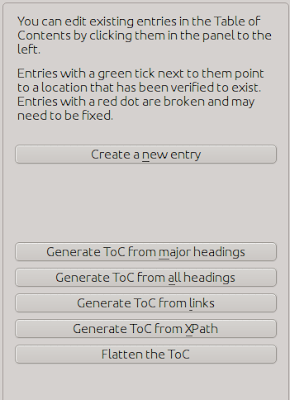 The last post already detailed how you can get the "Edit TOC" button on the main toolbar. 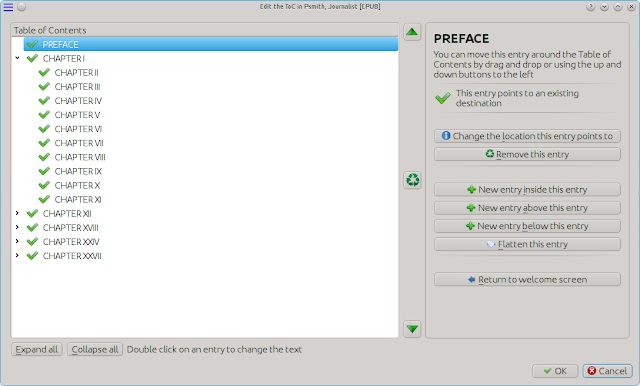 It is the rightmost button on the main toolbar in the figure below. 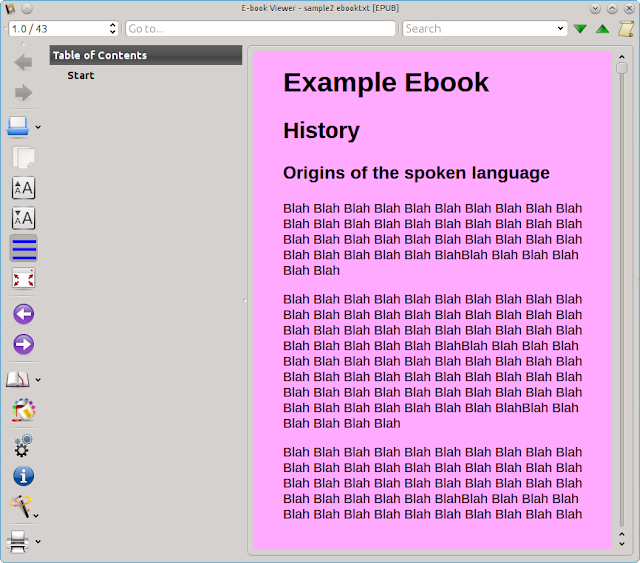 As you can see the e-book has no TOC, although it has headings and sub headings. Select the e-book in the main calibre window and click the "Edit TOC" button. 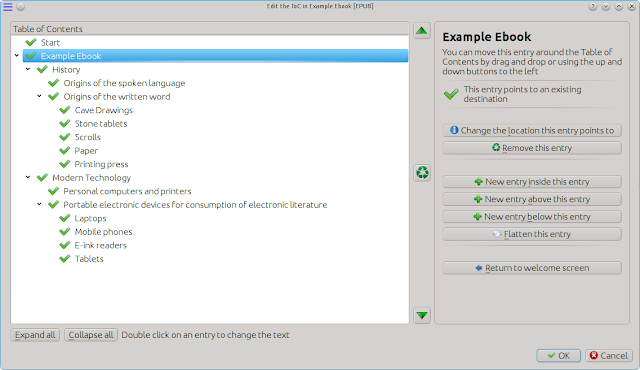 A new window opens with the following options in the right side menu. It has a well constructed TOC. Sometimes the headings in the ebook file are not well marked and some may be missing. 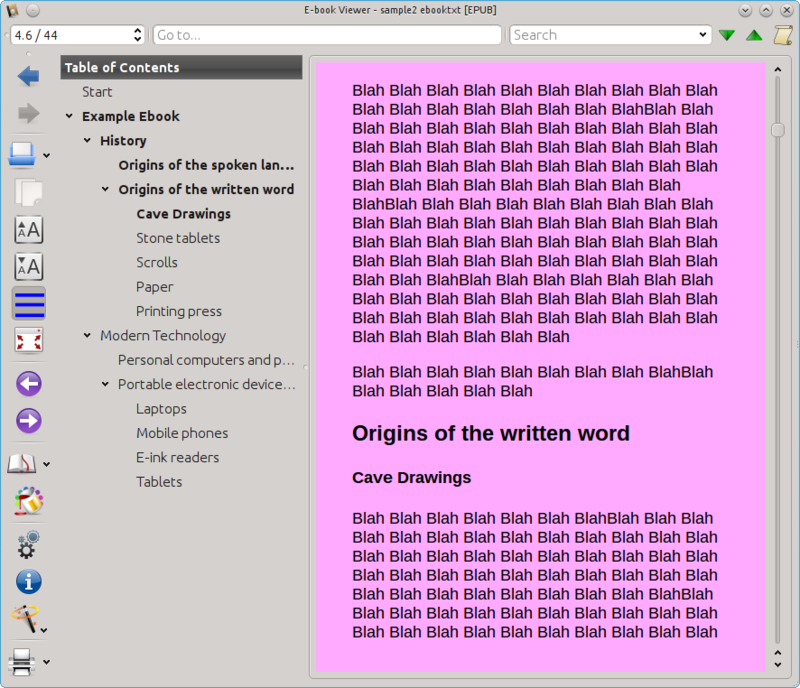 In that case you can edit the generated TOC as explained in the next section. So here I will start with a book that has an unsatisfactory TOC and play around with some of the available tools to make it better. This is just an example to show you some of the things you can do. 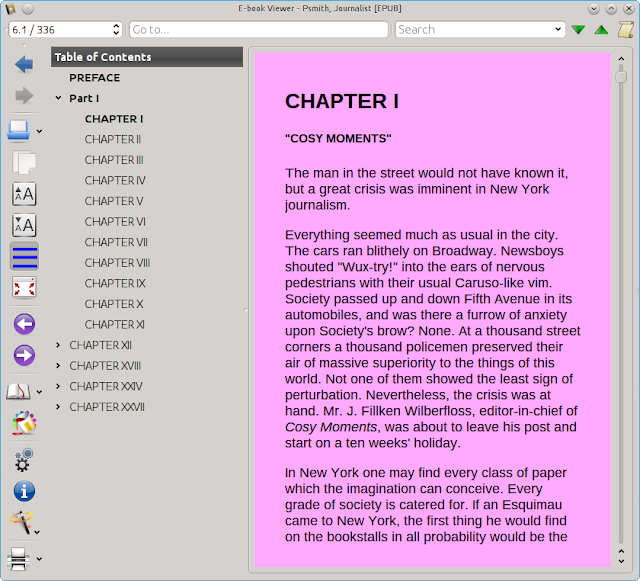 The above figure is a snapshot of the calibre viewer with the TOC of the e-book displayed. This TOC is messy as some chapters are subsets of others and although the chapters have names in the book, the TOC only lists chapter numbers. So lets see what we can do to spruce it up. As you can see in the two above figures Chapter II to Chapter XI are in the same level as Chapter I and not a part of it. But now say you want to make Chapter I to Chapter XI all members of Part I of the book. That too can be done. Move the mouse and position it just above Chapter one and left click. On the right hand side replace "(Untitled)" with "Part I" and click "OK". Now this is what you see. 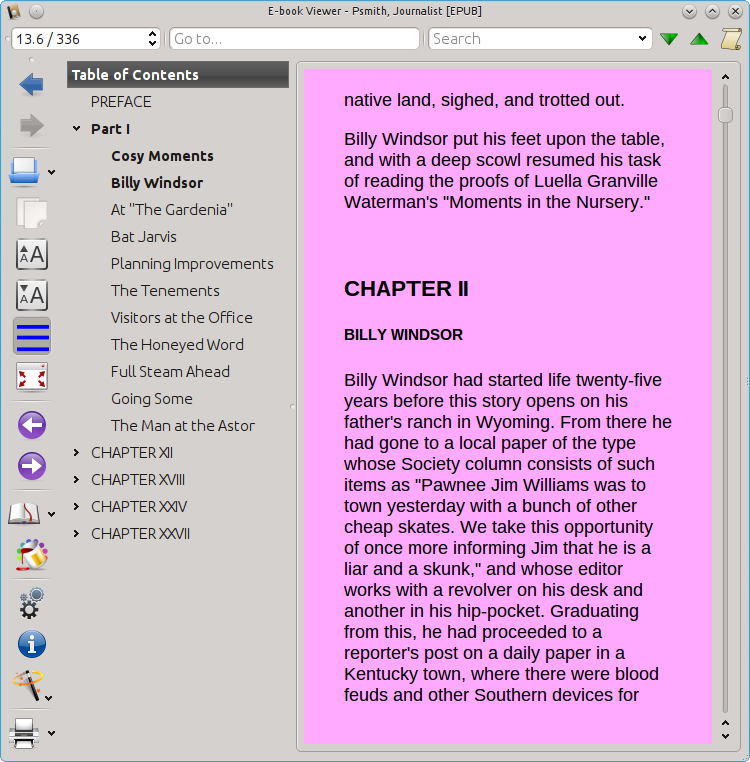 To make Chapter I to Chapter XI members of Part one just drag and drop them in to part one in the correct order. Then this is what you see. 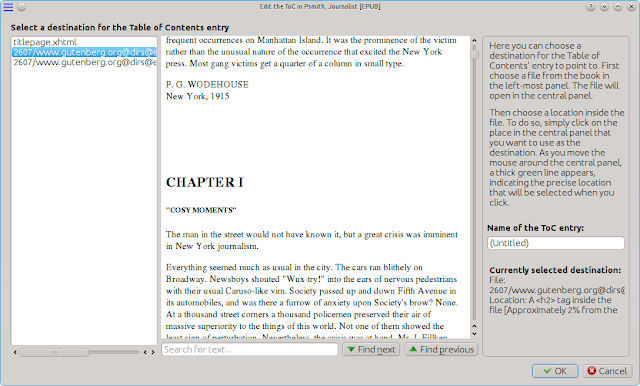 You can also edit the text for any of the entries in the TOC by double clicking the entry in the TOC editor window. 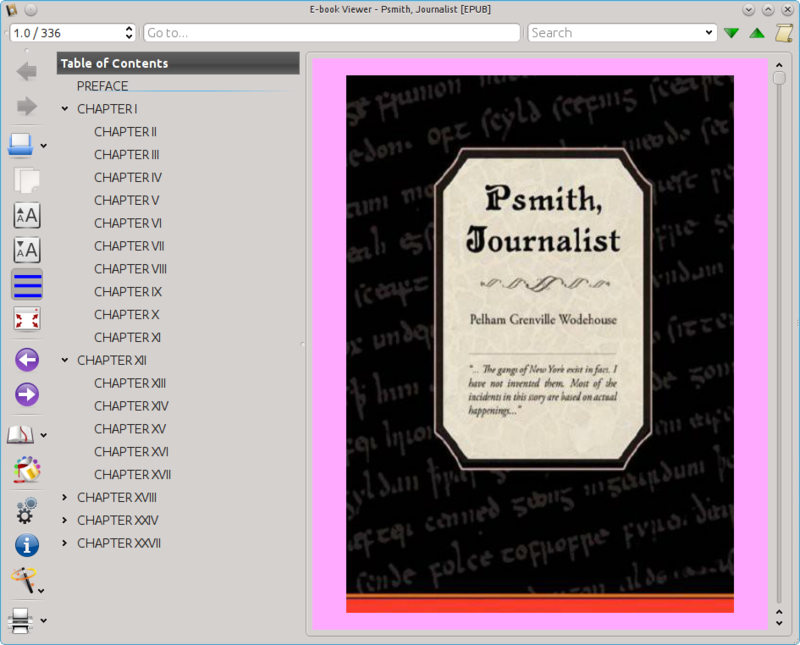 As you can see below I have edited "Chapter I" to the name of the chapter in the book. 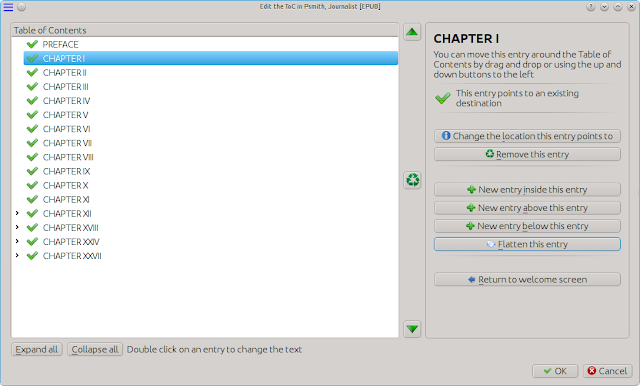 The following figure shows the TOC in the viewer with all the chapters in Part I with their proper names. This articles outlines some of the things you can do with "Edit TOC". There are a few other options too. This should help you get started. 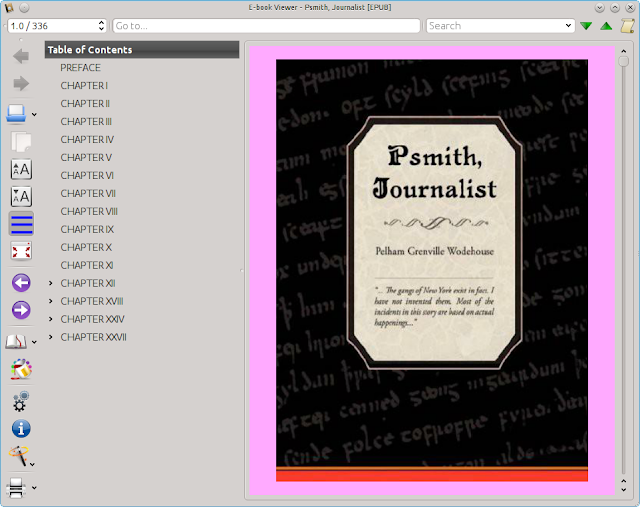 Then enjoy tweaking and playing around with all the options. Feel free to leave comments about other interesting things you tried. Very good information. 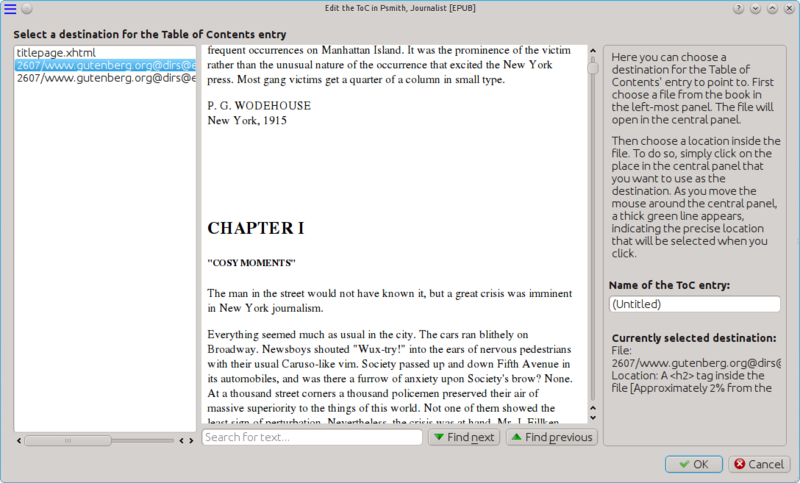 Anyway to convert an ePub so that heading 2 and heading 3 are on the same level in the TOC- so that one would not need to use this tool to "push" over to the left heading 3? 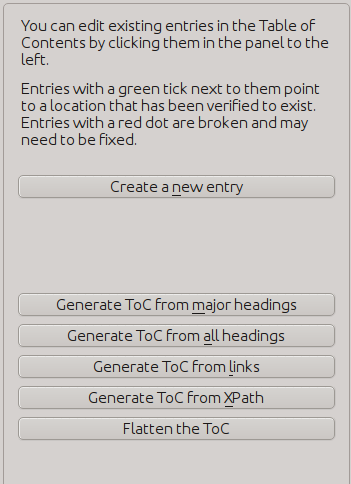 "No items found that could be added to the TOC"
The existing TOC has moved around. I have also in desperation added my Chapter 1-50 manually. I really do not know how to get around this, can you help.